Brand Update Helps Snack Company Open New Doors. 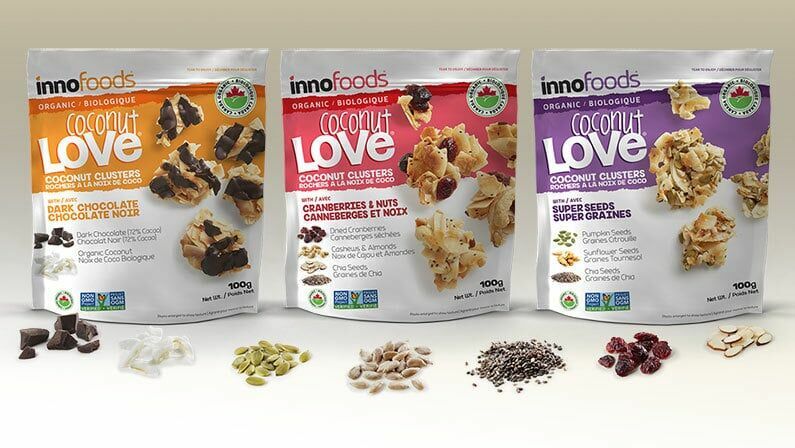 Inno Specialty Foods began life as a family-owned bakery and specialty foods store. They had 2 stores and had a small line of bulk items and packaged snack mixes in plain packaging. When their sales manager got some initial interest from Costco, they realized it was time to get serious about their brand and packaging and called for help. They knew they needed to make a good impression and that their materials weren’t up to par. After visiting stores that sold their product and reviewing the competition in store and online, it was easy to tell, their old look wasn’t going to help them sell product. Their packaging and branding were cold and almost clinical. The packs lacked impact. Product varieties were difficult to discern and their muddy colour palette and font choices did nothing to help them stand out. Snack brands should be FUN. Even “good-for-you” snacks. I started by suggesting a name and logo change. 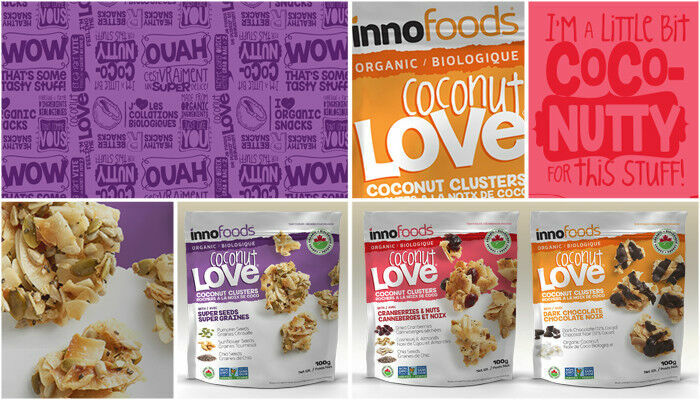 Inno Specialty Foods became Innofoods. And the new unicase logo is cleaner, more modern, approachable and fun. I kept the leaf reference as a nod to their organic and natural aspirations and created a logo that changes with the environment it lives on. The accent colour is always be taken from its associated packaging. Next I selected a variety of casual fonts, illustrative elements and a bright colour pallet to turn up the excitement. I created a slightly tilted package design with torn edge stripes and colourful callouts to create action and energy. 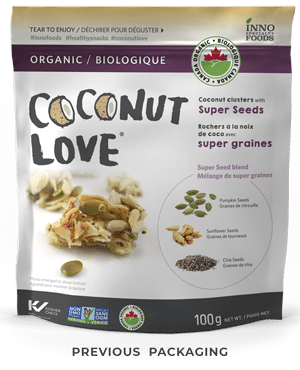 The new packs featured clearer messaging hierarchy, larger clusters, ingredients and flavour names. For package bottoms, point of sale and other uses, I created a series of fun, illustrative sayings and mashed them together to form a tone-on tone wallpaper effect. The new packaging is much more impactful on shelf. Varieties are much more clearly defined and the brand is clearly on a trajectory for success. Major retailers across Canada have picked them up and Costco now carries them in Canada, USA, Australia and Korea.